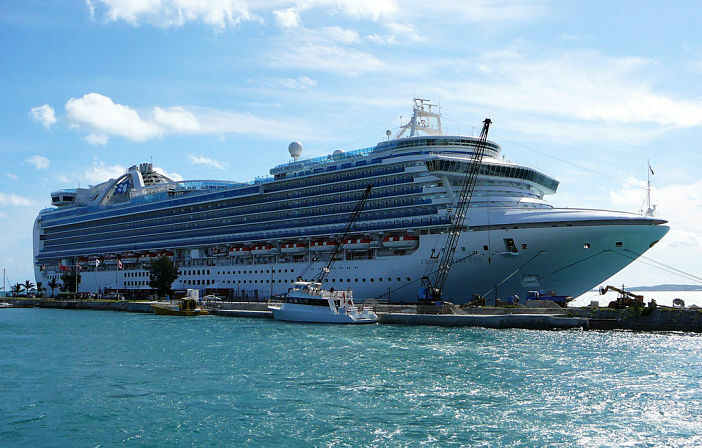 Princess Cruises has this week unveiled plans to add a whole new dining concept to its Australian-based cruise liner, Crown Princess. The new restaurant, The Salty Dog, will make its debut aboard Crown Princess over the coming weeks, with the hope that it will prove popular enough to be rolled out across the rest of the Princess Cruises fleet. Pairing gourmet quality fare with pub-esque interior décor; The Salty Dog is expected to become a firm favourite among Aussie cruise-goers looking for a fine dining experience amid relaxed, familiar surroundings. Labelled a gastropub in lieu of its small gourmet dishes, Princess’ latest at-sea restaurant offering takes inspiration from forgotten pub favourites, and also serves up an eclectic range of craft beers, wine and cocktails. Developed in close collaboration with distinguished chef, Ernest Uchimura — former executive chef at Unami Burger and current head chef of Los Angeles-based Plan Check Kitchen — The Salty Dog’s menu features a wide choice of heart-warming fare inspired by the crowd-pleasing fodder served predominantly in pubs. Guests travelling aboard Crown Princess over the coming months will be treated to a choice of three small plates from The Salty Dogs’ extensive menu, which features exciting twists on classic pub grub. Signature dishes on the restaurant’s menu include Spicy Stout Short Ribs, Wild Mushroom Saute, Lobster Mac & Cheese, and Pale Ale Pork Cheeks. One dish that is sure to become a firm favourite among diners is ‘The Ernesto Burger’ — a handsome handmade burger consisting of a rib eye and short rib beef patty, pork belly, grilled kimchi, onion aioli and beer battered jalapeno peppers, all of which is topped with a mound of cave-aged gruyere cheese. The Salty Dog gastropub and international whisky menu have recently been added aboard Princess Cruises’ Crown Princess. To keep up to date with the latest developments from Princess Cruises, or any other cruise line, be sure to check back with Cruise1st Australia for regularly updates. Images sourced via Flickr Creative Commons. Credit:Brett Weinstein.